SharePoint server 2013 slipstreamed with SP1 is available via MSDN and VLSC, this supports Windows Server 2012 R2. SharePoint Server 2013 SP 1 is released http://support.microsoft.com/kb/2817429, I havent personally tested this on Server 2012 R2 yet, but based on the KB article it is supported. However if you are a person who likes to work on bleeding edge and doesn’t want to wait till SP1 is release …then you are at the right place J. For almost all of my SharePoint Installations (2010 and 2013) be it on a single server or a large farm of many servers, I use autospinstaller, an open source PowerShell script library for scripted SharePoint installs. 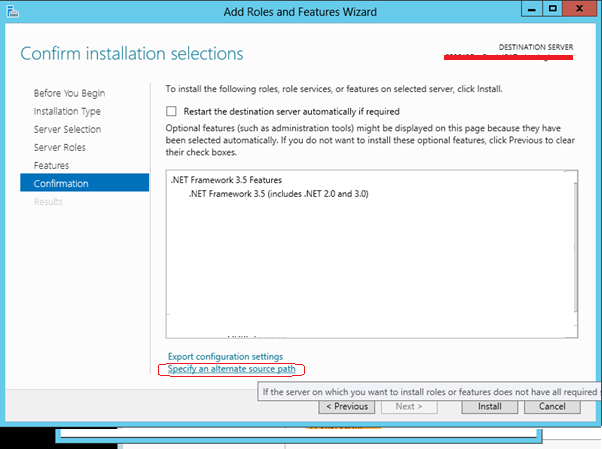 However autospinstaller failed during the SP2013 prerequisites install on the R2 server with the following errors. 2014-02-10 15:58:56 – Error: Startup task doesn’t exist. This is not a continuation after a restart. 2013-10-02 15:59:02 – Error: The tool was unable to install Application Server Role, Web Server (IIS) Role. 2013-10-02 15:59:02 – Options for further diagnostics: 1. Look up the return code value 2. Download the prerequisite manually and verify size downloaded by the prerequisite installer. 3. Install the prerequisite manually from the given location without any command line options. The SharePoint 2013 prerequisite installer checks the OS version and detects it as unsupported as well as the AppFabric install requires special configurations. 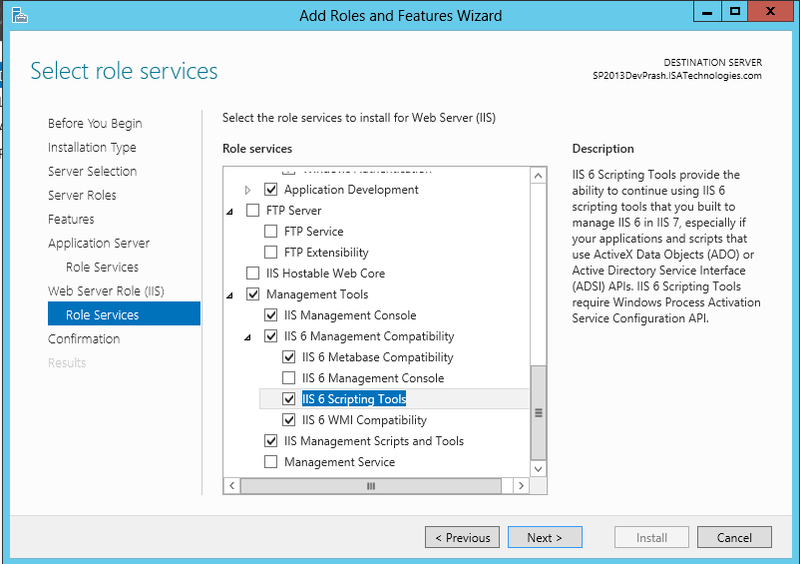 Due to these issues I decided to install the prerequisites manually but use autospinstaller for SharePoint install. Below is the order in which I performed the tasks. -Source parameter should point to the windows installation media. 2. Download all the below prerequisites and save it locally. 3. Install all the above prerequisites directly from the prerequisites folder in the sequence ordered above, EXCEPT the last two (AppFabric and CU 1 for AppFabric). In order to make use of all the benefits of a scripted install, I still wanted to use autspinstaller but didn’t want the prerequisites install on it to run. Therefore I modified the autospinstaller script to bypass prerequisite install. Below is the change I did to the script AutoSPInstallerMain.ps1. Navigate to the function, “Function Run-Install” and comment the below so that prerequisites install is bypassed. When installing SQL Server 2012 on Window Server 2012, you will endup hitting this error if .Net 3.5 (a windows feature) is not installed as a prerequisite. “Error installing Microsoft .NET Framework 3.5…. 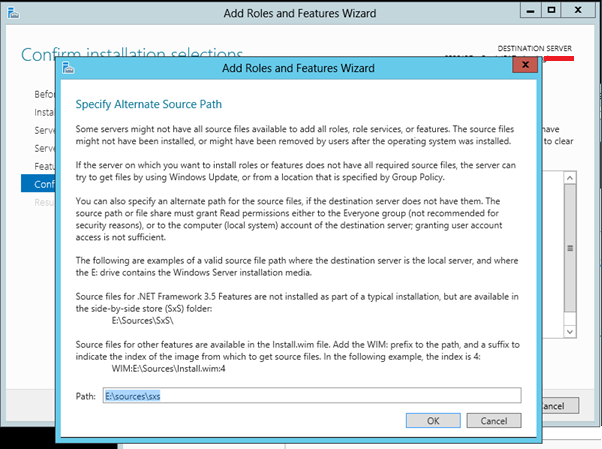 .Net framework 3.5 is not copied into the Server from the media during the install therefore we need to explicitly specify the ‘source path’ using ‘Specify an alternate source path’ as shown in the below screens. Once the alternate source path is specified, click ‘Install’. 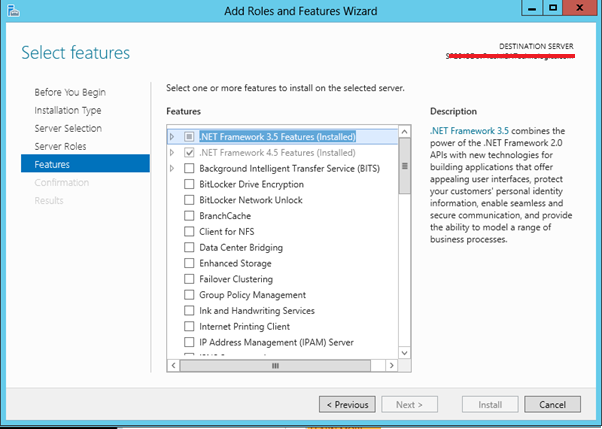 After a successful install of .NET framework 3.5 you can commence the SQL Server 2012 install on the missing components. Technology needs upgrade and SharePoint is no exception infact newer versions of SharePoint are usually released in 3 year cycles. It is essential for businesses to upgrade to newer versions if they want to continuously leverage the new technological advancements in the IT industry. When it comes to migrating SharePoint farms between different versions it has always been both interesting and challenging. The level of complexity in a SharePoint migration is proportional to the level of customiszations applied to the environment. All most all the SharePoint environments that I have worked on are customized to different levels of complexity, some are heavily customized with many complex custom workflows (SharePoint/.Net workflows, K2 and Nintex) and integrated with external systems via custom connectors or Business Connectivity Services (BCS), etc… These type of complex environments are often challenging to migrate and require proper planning and a phased approach. In this article I will briefly talk about the some key aspects that are worth considering when migrating from MOSS 2007 to SharePoint 2013. I like to cover the migration from MOSS 2007 to SharePoint 2013 because this will include migration from SharePoint 2010 to SharePoint 2013 as well. Migrating Content has to be a 2 step process, if no 3rd party tools are used. I.e. Upgrade MOSS to a temporary 2010 environment via database attach and then move the content to SP2013 using the same approach. 3rd party tools such as AvePoint can also be utilized. Eventhough most of the content can be migrated ‘as is’, it’s important to use this opportunity to clean up the content before moving to SP2013. Migrating code, this has to be done manually and it’s a key component in the process of migration. The existing code needs to be analyzed and evaluated in detail before deciding on whether to build the solution from scratch or to do a code migration. You must look at code-based customizations, whether custom-built, in-house code, or third party tools, add-ins, or web parts, and determine what will and won’t work in the target version of SharePoint. The odds are pretty good that some of your customizations won’t work, and you will have to decide whether the functionality those customizations provide is still necessary, or whether the customization can be left behind. If the customization is necessary, but incompatible, you will have to determine the cost and effort required to remediate the customization so that it works with your target version. Most likely the core source code might be reusable so that you can avoid reinventing the wheel and thus reduce cost and effort. The effort that I have just mentioned is the same whether you are going to 2010 or 2013. And, in fact, it’s extremely likely that the remediation you undertake will result in the customization being ready for either version. It’s not the target version of SharePoint that is the issue rather it is the mess you have in your 2007 environment that is the real problem. Once you solve that, you are ready to migrate to either 2010 or 2013. Permission and Authentication model, since SP2013 uses claims authentication by default and classic authentication is soon to be deprecated, special attention needs to be given to the new security model when architecting the whole solution. In my view point it’s better to do the permission migration separate to content and code migration, probably after the code and content migration which will help you to isolate and identify any specific permission related issues that may occur. IT gets familiar with 2013 before making the decision. If you move users from 2007 to 2010, that’s going to require training—a significant amount of training, in fact. 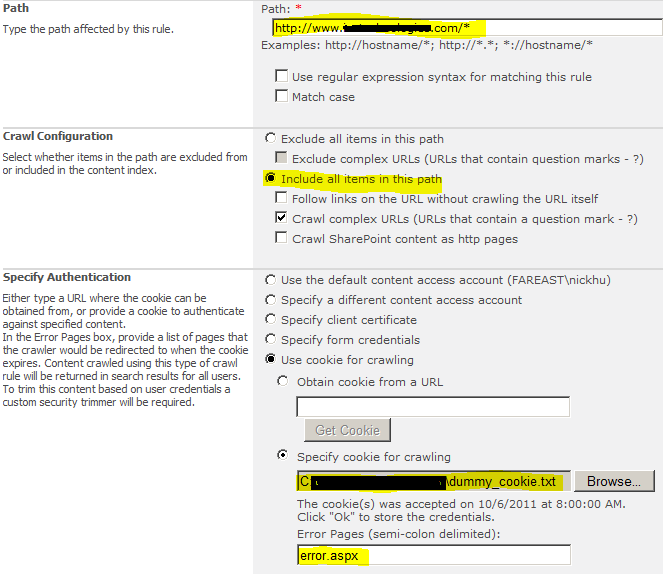 SharePoint 2010 has rough edges in discoverability, and gaps in usability, that were solved in SharePoint 2013. That means that your users will require more training going from 2007 to 2010, than from 2007 to 2013. You’re also going to have to train users twice. You’ll have to train them to use 2010, and then when you do finally move to SharePoint 2013, you will have to train them again because the user interface and user experience is quite different in each version of SharePoint. Recently in one of the SharePoint 2010 implementations we faced the interesting issue of Taxonomy field values in Lists and Pages were not visible for users except Site Administrators. After spending sometime investigating I found out that in each site collection there is a hidden taxonomy list (TaxonomyHiddenList) which has all the taxonomy field values from the Manage Metadata Terms Database. This list will be synchronized hourly with the Manage Metadata database using the Taxonomy Update Scheduler timer job. In one of my recent FAST implementations to a large Government Organization in Western Australia, I faced numerous interesting issues and would like to share them with the SharePoint communitiy in my next few articles. In my view point, even though FAST is a very powerful and useful component when it comes to integration with SharePoint it need some major improvements, fixes and specially better error handling. FAST farm Post Configuration failed with the above error message which is very generic and makes no sense, which forced us to reflect some dlls to find out the root cause of the issue. The reason for the above error was the failure of the command “d:\fastsearch\bin\msdtcsetup -admin”. Again we dont have any clue of what prevents msdtcsetup from running therefore next we used NetMon (MS Network monitor tool) to analyse and further trouble shoot the network traffic. Netmon was very useful in finding out the exact root cause which was MSDC service permission was limited to Local Admin, LOCAL and INTERACTIVE by a group policy. Since we found out the extract root cause the resolution was pretty simple, which is to add “Network Services” to the MSDC service permission group along with the other accounts and set the service to start up Automicatically.